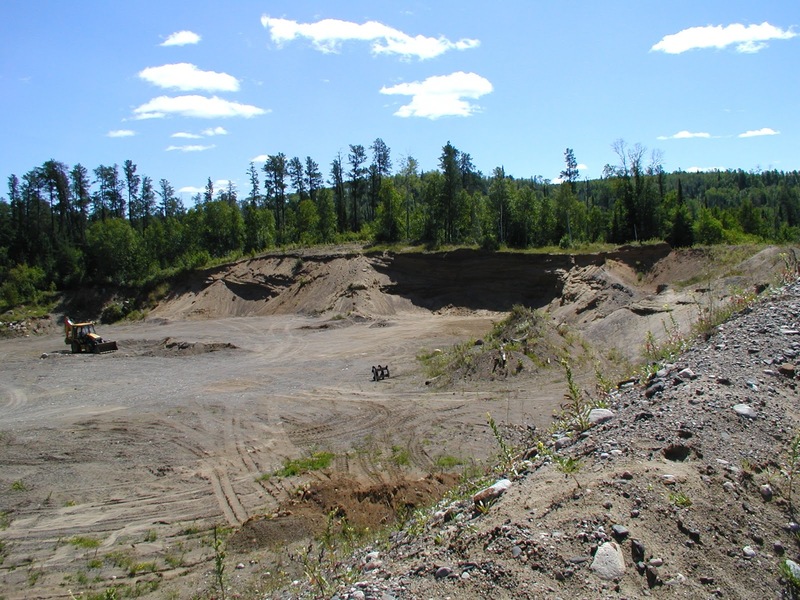 Approximately 1,850 million years ago, an asteroid between 6-12 miles in diameter struck Earth at what is now Sudbury, Ontario. This impact is the second-largest known impact, as well as one of the oldest. 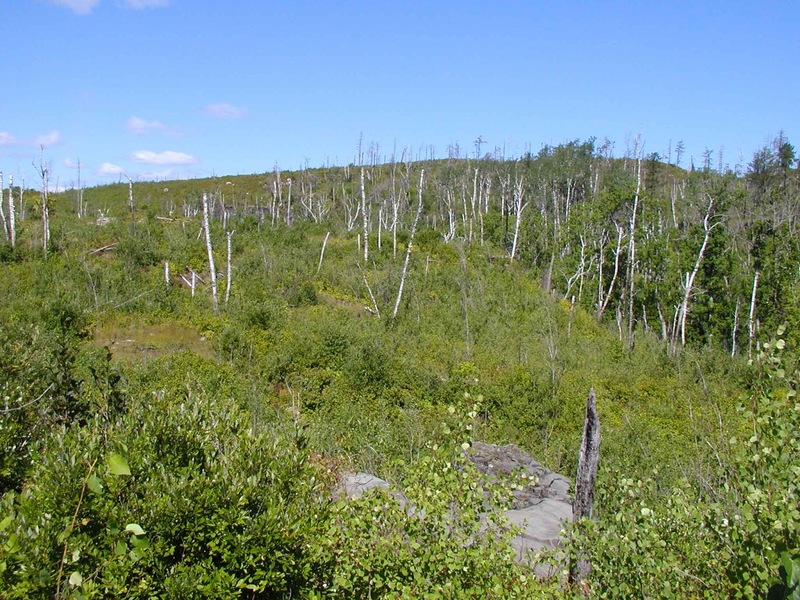 The effects of this impact is left behind in the rock record that have recently been discovered near Thunder Bay, the Gunflint Iron Range, Michigan's Upper Penisula, among others. 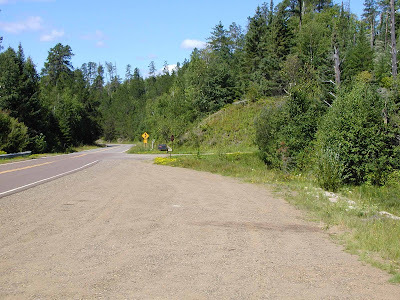 There are several locations near Gunflint Lake, along the Gunflint Trail (County Road 12), that bear witness to the impacting event even though the impact was nearly 450 miles to the east. One location is found approximately one mile down National Forest Road 1347, off of County Road 12. Approximately a quarter mile after leaving the Gunflint Trail (County Road 12), you drive past a gravel pit in late-Wisconsin glacial deposits of the Rainy lobe. After a little over a mile drive on National Forest Road 1347, a hiking trail intersects the road. 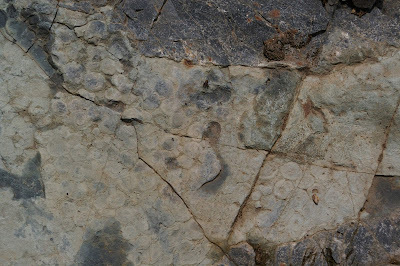 One exposure of the breccia is several hundred feet to the north of this intersection. After following the trail north of the road for a few hundred feet, you must leave the trail and hike through the brush for another 100-200 feet to reach the exposure. 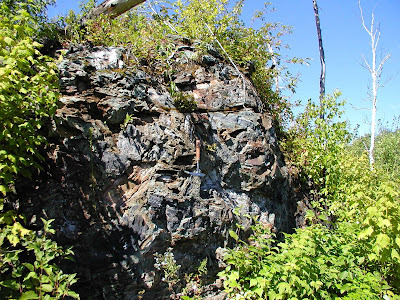 The breccia is found on the far side of the middle ridge in the picture below. 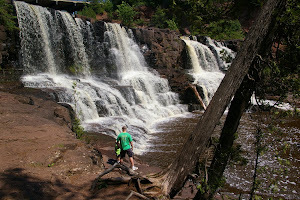 At the time of the impact, this area of Minnesota was located along the shore of an ancient sea. The impact breccia lies directly upon the Gunflint Iron Formation (1,878 million years old) that was being deposited prior to impact. 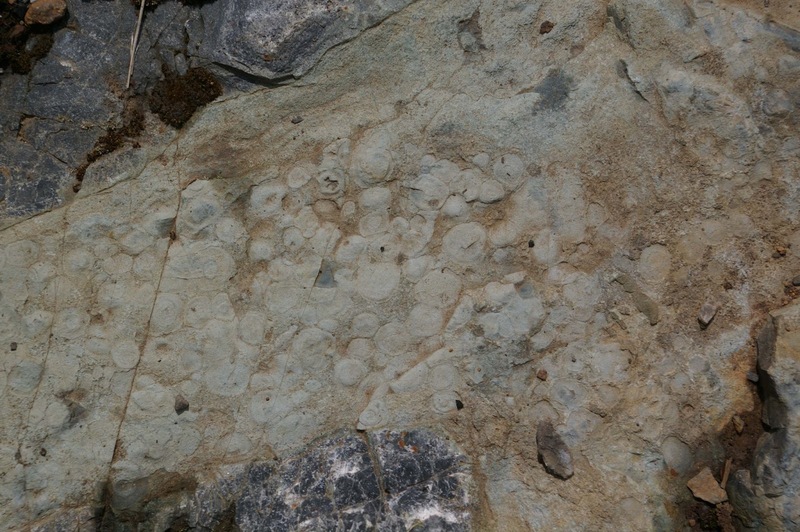 The breccia at this location, has been interpreted as a submarine debris flow caused by earthquakes resulting from the impact. 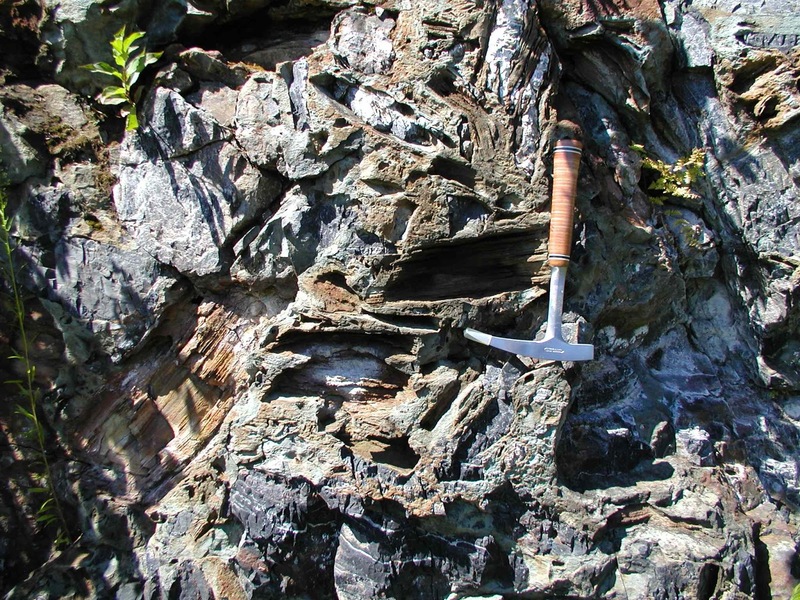 The breccia layer is almost 7 meters thick, with larger pieces of iron formation (some almost 3 meters long) found near the bottom and smaller pieces found near the top. After depostion of the impact breccia, the ancient sea again began to deposit fine-grained material, though no more iron. 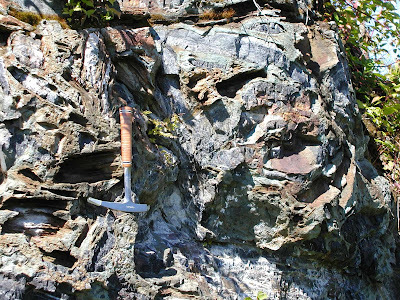 Mudstones and shales of the Rove Formation (1,850 million years old) were deposited directly above the impact breccia. 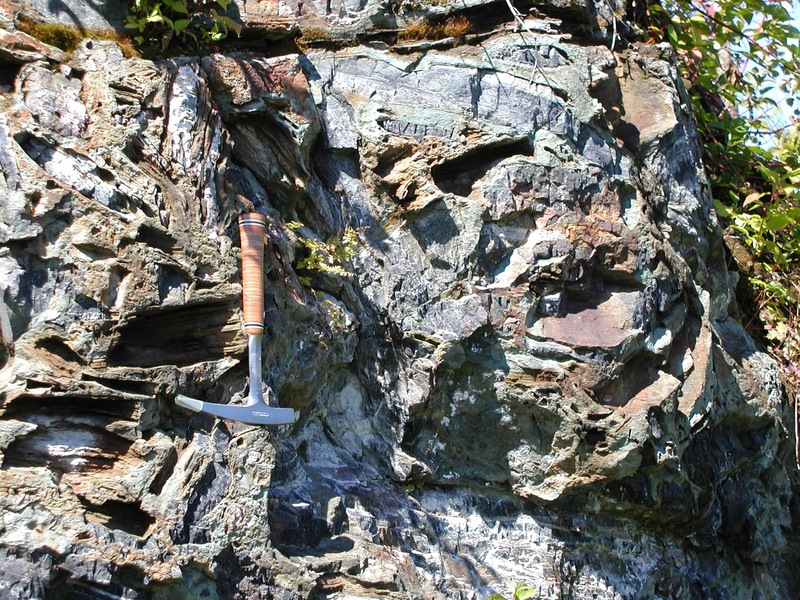 These mudstones and shales were later metamorphosed into slate by the 1,115 million year old diabase sills of the Logan Intrusion found above the Rove formation. Beyond the intersection of Cut Across Trail and National Forest Road 1347 approximately a quarter mile is another interesting exposure of impact breccia that shows ejecta. 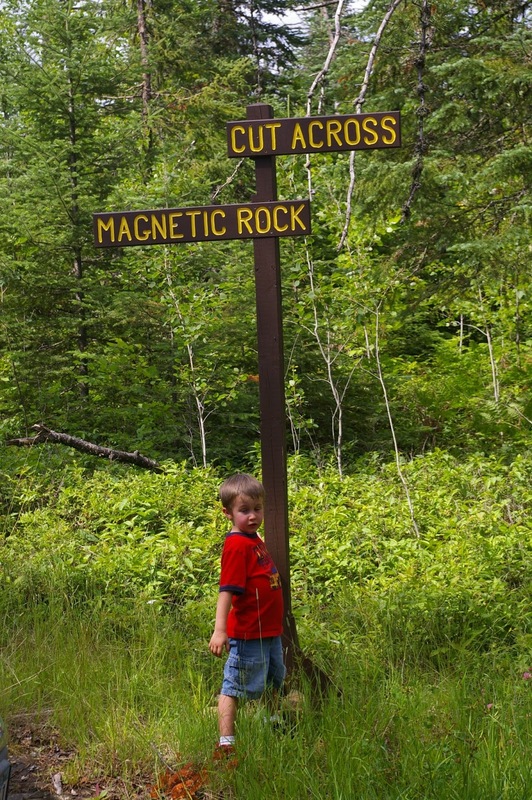 As part of the impact, most material would have fallen back into the newly formed crater, though some of it was thrown nearly 450 miles to Minnesota. The ejecta is found at the uppermost portion of the impact breccia and includes accretionary lapilli. These lapilli are comprised of multiple layers of ash and melted fragments that were removed from the impact site.